London Fashion Week is always a sensational spectacle of showmanship and sparkle and next season’s shows didn't disappoint. 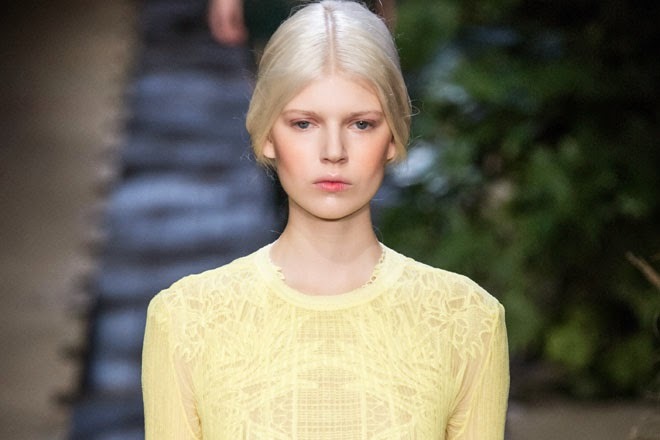 Here are our top tips for the trends coming your way for spring/summer 2015. The classic smoky eye is never out of fashion and SS15 sees the look fusing glamour with rock-chick at Tom Ford, using black sparkle and khaki shades for a thoroughly modern affair. Pastels paraded the catwalks in many guises, from sunshine yellow at Erdem to a muted peach and green palette at J. JS Lee, via pretty-in-pink at Giles. Nothing says ‘London’ like undone cool and the shaggy bob personifies this to perfection. 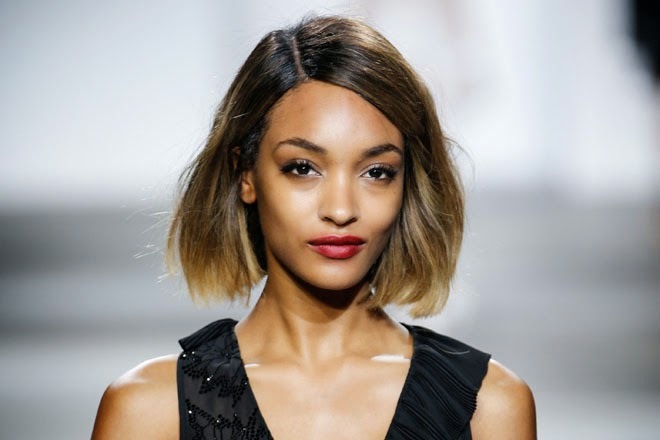 This look was nailed by Jourdan Dunn at Topshop Unique, with a blunt cut, tousled waves and low-lights screaming out London cool. Next season’s take on prints is an artistical affair, from squiggles at Issa to graphics at Roksanda. Colour also played its part, from monochrome to vibrant brights. 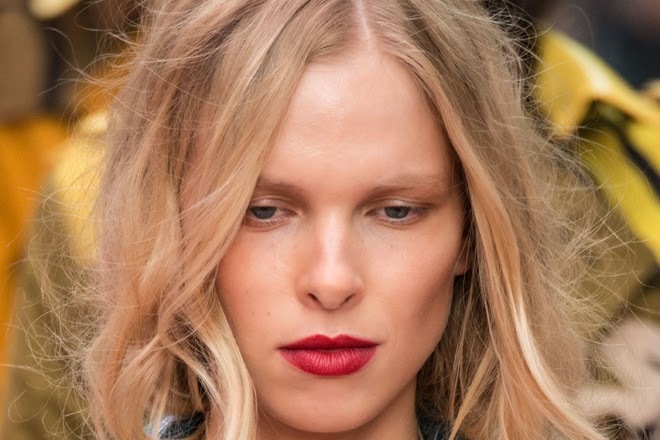 Burberry was a designer on everyone’s lips with its ‘The Birds and the Bees’ collection; in beauty terms this translates as iridescent, glowing skin and deep red-rose lips, like you’ve spent the day in the garden. 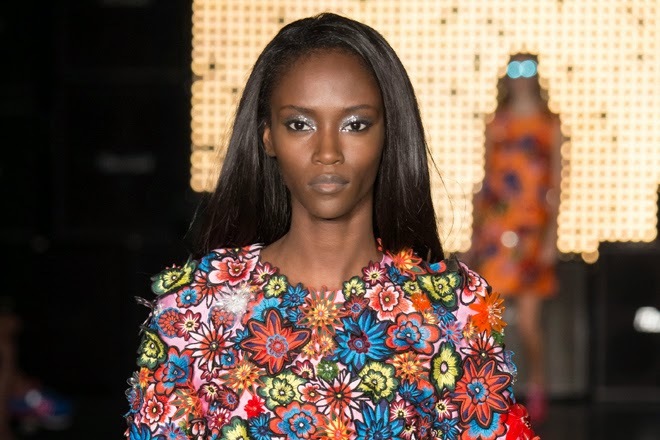 House of Holland planted its feet firmly in the swinging 60s and 70s with its collection of clashing florals, shift dresses and appliqué. 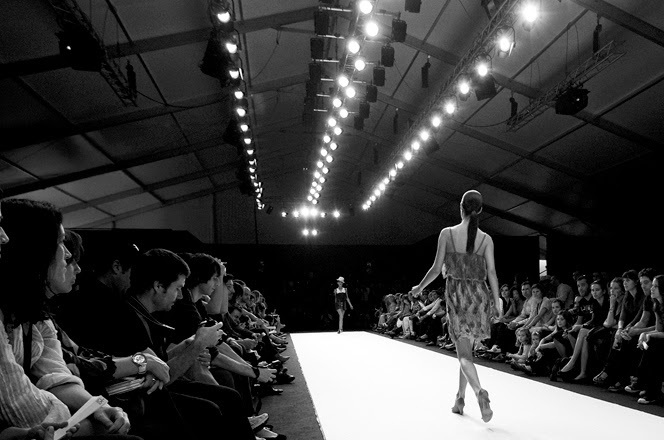 As a leading designer for edgy Londoners, we anticipate Henry Holland’s collection making quite the impact next season.